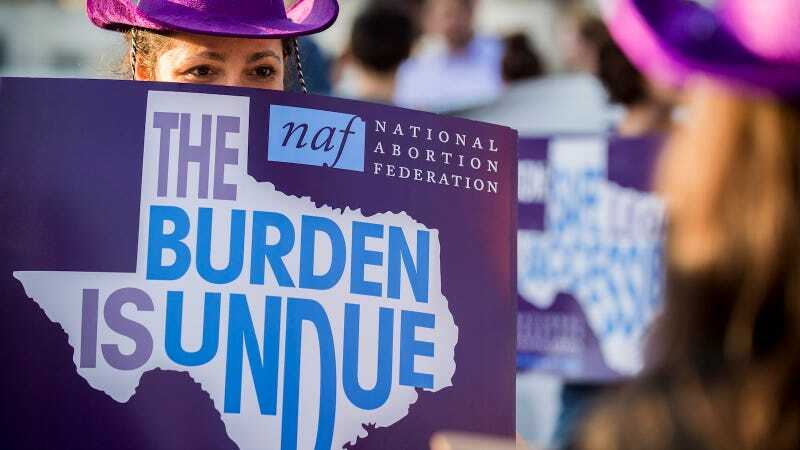 Forever on the wrong side of justice, the Trump administration is trying to block an undocumented, pregnant 17-year-old from obtaining an abortion in Texas, where it’s illegal to have an abortion after 20 weeks. On Wednesday, a federal judge ordered the Department of Justice to allow the girl to undergo the procedure. Buzzfeed reported that the teen, now 15 weeks pregnant, has been trying to receive an abortion since she authorities picked her up at the US-Mexico border on September 11. Thanks to restrictions in Texas, she faces several obstacles, and time is running out: by state law, she’s required to obtain an ultrasound and undergo a mandatory waiting period before she can undergo the procedure. But the Trump administration has denied requests to travel for the procedure, expecting the teen to leave the US or carry the pregnancy to term. The teen had already received a state judge’s permission to obtain an abortion, in accordance with Texas’s parental consent law for minors. The ACLU, who represented the unaccompanied minor and named her “Jane Doe” in court documents, said the federal government has not cooperated. She also noted that the government did, however, allow the teen to visit what the ACLU described as a crisis pregnancy center, notorious anti-abortion centers that deliberately misinform vulnerable women to dissuade them from seeking an abortion. US Department of Justice lawyer Scott Stewart began his arguments on Wednesday by noting that Jane Doe is in the United States illegally, and he disputed that she was entitled to have an abortion. Judge Chutkan asked Stewart if he would agree that Doe still had constitutional rights. When Stewart pushed back, saying he wasn’t going to make a concession on that, Chutkan shook her head and laughed. “That is remarkable,” the judge said.